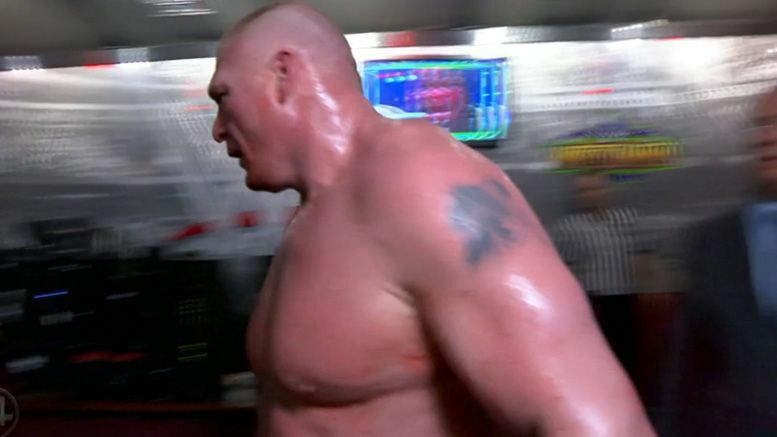 The real-life backstage altercation between Brock Lesnar and Vince McMahon after the main event of WrestleMania 34 was shown on the latest episode of WWE 24. Pro Wrestling Sheet was first to report on the brief incident back in April 2018. Now, we’ve finally got confirmation of what occurred during the WM34-centric episode. The footage immediately shuts off at that point. It’s still unclear what set Brock off. You may recall, Brock re-signed with WWE shortly after and talk of the incident went away.